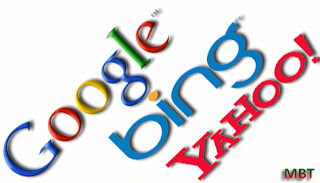 Bing and Yahoo Features that Google Doesn't Have! Most of us think of Google as the superpower of the internet world. And that's not a mere generalization. Out of every 10 people, 7 use Google search. And Google's network of integrated tools make it an amazing package for its users. But as with anything, Google isn't perfection. If Bing has retained some of its market share, and if Yahoo has managed to survive for so long, it's because they offer some features that Google doesn't. Let's take a look at why 3 out of 10 people skip Google and go for the more discrete options. Why people still use Bing? OK let's get something straight right from the start. Bing, in its current state, can, in no way, compete with Google on a search result basis. The data Google has collected over the years is simply immense. So the two can't compete head-to-head. But Bing does have something which makes me think about it sometimes. First up; Aesthetics. Bing has a more user-friendly user interface than Google, and that alone prompts me sometimes to keep using Bing if it accidentally launches up in Internet Explorer or on a Windows Phone device. And I can't say I've regretted it. Bing will show you some options at the bottom, and even a slider (for images, videos etc) at the bottom to show you what's trending. Bing even conveniently shows my search history, which can help easily access recent pages I've visited. 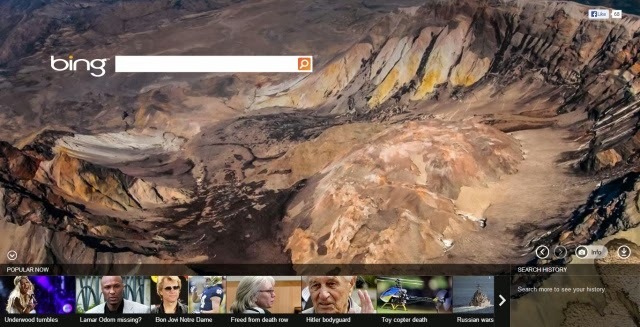 The best thing about Bing is perhaps its Image and Video Search. I discovered these features once when Google's homepage wasn't resolving on my side due to some DNS issues. And I was pretty amazed with the Image search. Bing can interpret whether you're looking for a person, place or thing (entity understanding). You can then use these options for efficient image searches. Same goes for videos, and you can search for videos by using the search engine itself, unlike Google, where you have to go to YouTube instead. These features make Bing not that bad a deal. But as we discussed, Google has the sheer amount of data and experience that Bing doesn't. And that explains why the one has the edge over the other in the market. Yahoo has been heading into collision courses with Google for a long time, and now seems to have developed a knack for it. It also tries to provide a 'complete package' to its users. If you head over to Yahoo's homepage, you will see a collection of tools you can use. Now I'm more of a minimalistic kind of person, so I naturally don't prefer all this clutter. But I also like having functionality on my fingertips, and so, Yahoo offers a complete all-round package. And since iGoogle is retiring, Yahoo's homepage will have the ground for itself. Speaking of sparring-grounds, Yahoo now is trying to go more horizontal, because it can't compete with Google Search vertically. The Yahoo Local feature helps users find local businesses and places near their location. Then there's Yahoo Answers, the world's largest Q&A database. And don't forget Flickr, with which Google's Picassa can't compete yet. All-in-all, the Yahoo resistance sure has kept it going for the years, and given time, the tables might as well turn. That is not to say that Google will be looking up at Bing and Yahoo, not anytime soon at least. But it's a bleak possibility. For now though, Google owns the market, and Bing/Yahoo can't really compete with Google, not at least in Search. Hope you're fine. Sorry for being not in touch from so long. Just visited your blog and I have to say that you and STC Network is really doing good. Good bro. Remember? On 8th Feb, I asked you about the issue why blogger disabled my domain? Finally the sleepyheads have removed the blog PERMANENTLY and I am over with blogger. They holded my blog for 8 months and finally deleted it from their servers. I lost all my content now. And really, I still remember that email, that day, that moment. That email is still bookmarked in my inbox. A tip for everyone. If you really have few bucks in hand, then never go with blogger from NOW. Sorry, these words may seem really bad to some people out here but this is what experience is. And I have faced it so I know it. @ Mehul : You always have an option to back up the data of blogger say you can do it on monthly basis and at best you lose only one month data. So Blogger is not that bad despite fear of removal and remember it has close to 100% uptime. Thanks Qasim Zaib, for sharing such a valuable information! if possible, assist me to improve my seo, traffic and page rank.